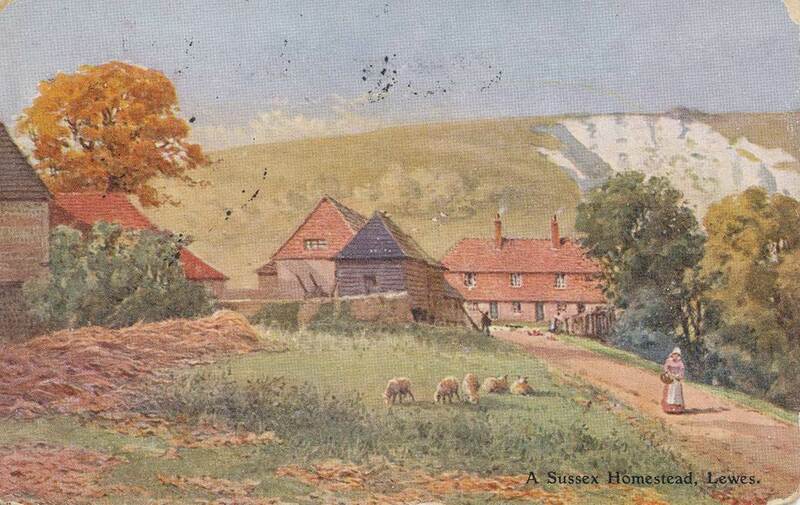 This Edwardian art postcard is titled just ‘A Sussex Homestead’, but it shows the cottages and farm buildings of Landport Farm, with the Offham chalkpits in the background. It must have been very popular in its day, as copies still turn up very regularly, more than a century later. 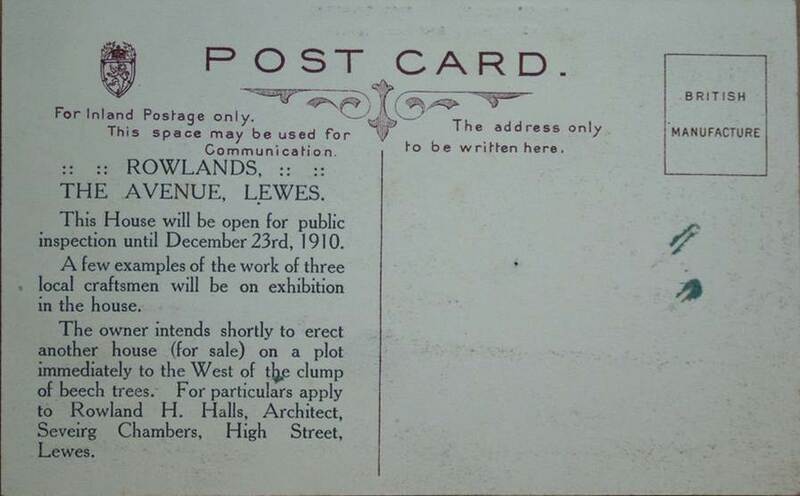 It was probably sold over a wider area than just Lewes – this card was posted from Brighton in 1906. 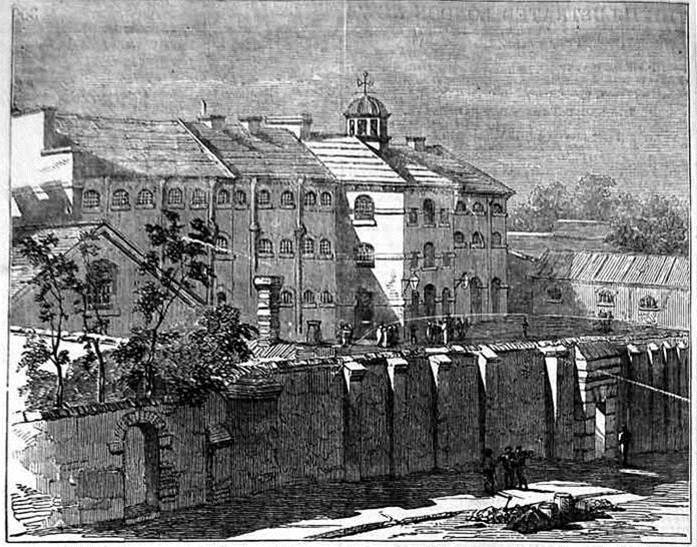 This view was published in the 14 October 1854 edition of the Illustrated London News, and captioned ‘Gaol at Lewes, in which the Russian prisoners are confined’. The prisoners of war, captured in the Crimea were actually mostly from modern Finland, and were very popular in the town. The paper noted that they ate well and slept well; that the diet of good beef, bread, soup and tea suited them well; that they were very orderly in their conduct, and that before their meals they sang a short hymn as grace. It also reported that on the previous Saturday ‘a young Fin’ had been born somewhat unexpectedly, but that the mother and child were progressing well under the care of the surgeon of the prison. When at the National Archives recently I came across two trials for witchcraft in the Lewes assizes held during the reign of Elizabeth I.
Lewes Assizes, August 1565: Margery Smythe of Battle was indicted for witchcraft. She was charged with causing two toads to suckle a red cow belonging to John Foote, so that it died in three days. She was found guilty and ordered to be imprisoned for a year, during which she was to be pilloried twice. Lewes Assizes, July 1567: Agnes Baldwyn of Fletching was indicted for killing by witchcraft Robert Matthews of Newick, and also for killing two pigs worth 20 shillings by witchcraft at Newick in August 1566. The outcome of this second trial does not seem to be recorded. “In those days there used to be ships come up the river; you don’t see ships up there now for any reason but, er, the barges and ships used to come up and go underneath the old bridge and unload just above the bridge in Lewes. We have been contacted via our website by Alison Dunn, who has just moved into new offices in the Old Candlemakers, West Street, Lewes. She is aware that this was once a candle-making and needle-making factory, but wondered whether there was any additional information or any records available about the history of the building. This advertising postcard was offered for sale on eBay in August 2011. 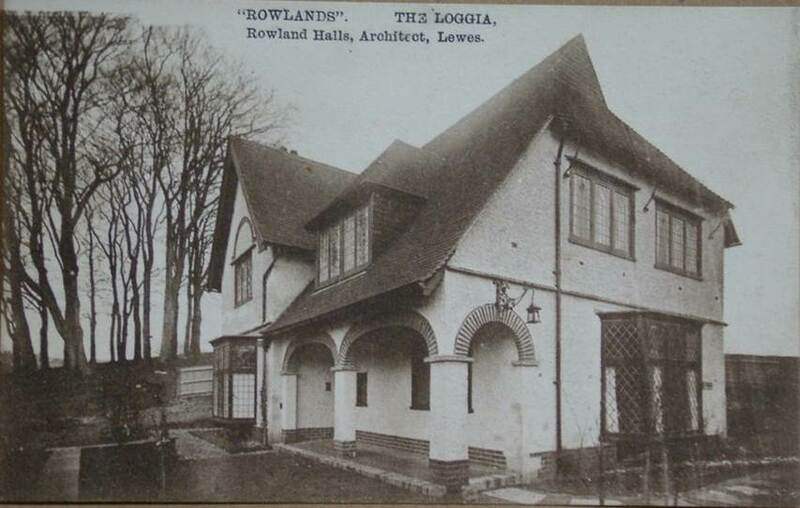 This entry was posted in Agricultural History, Legal History, Lewes, Local History, Social History. Bookmark the permalink.